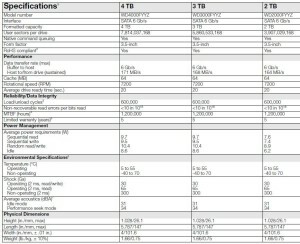 Western Digital or WD has recently further expanded its enterprise-class storage lineup and released two new 3.5-inch nearline drives provide leading capacity, highest reliability for 24×7, 100% duty cycle operating environments; the WD RE SAS and WD RE SATA hard drives with capacities up to 4TB each. For nearline WD RE SAS it is available immediately in 1 TB, 2 TB, 3 TB and 4 TB capacities while the WD RE SATA is available in 2 TB, 3 TB and 4 TB. 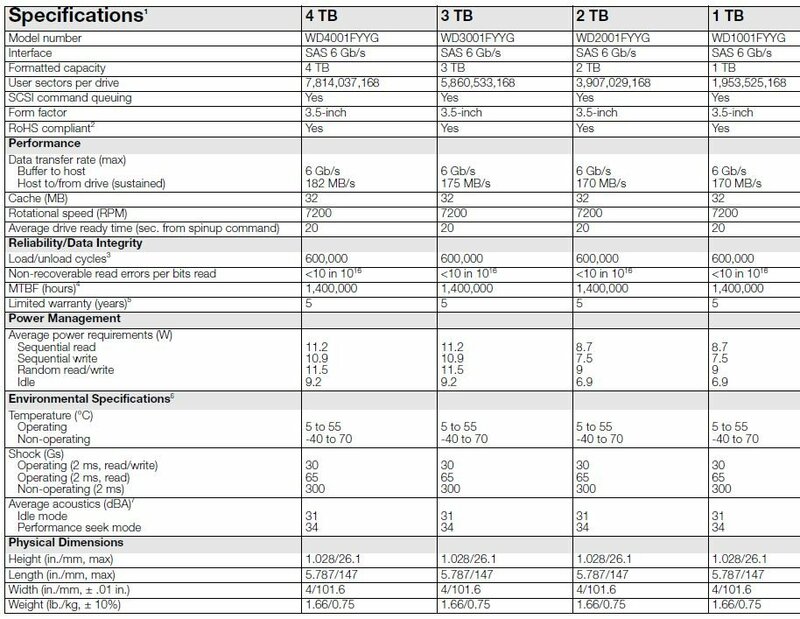 The 3.5-inch WD RE SAS and WD RE SATA hard drives offer the powerful combination of enterprise-class features and superior capacity to meet the growing demands of conventional business-critical environments as well as the high-capacity and performance requirements of cloud and scale-out computing. 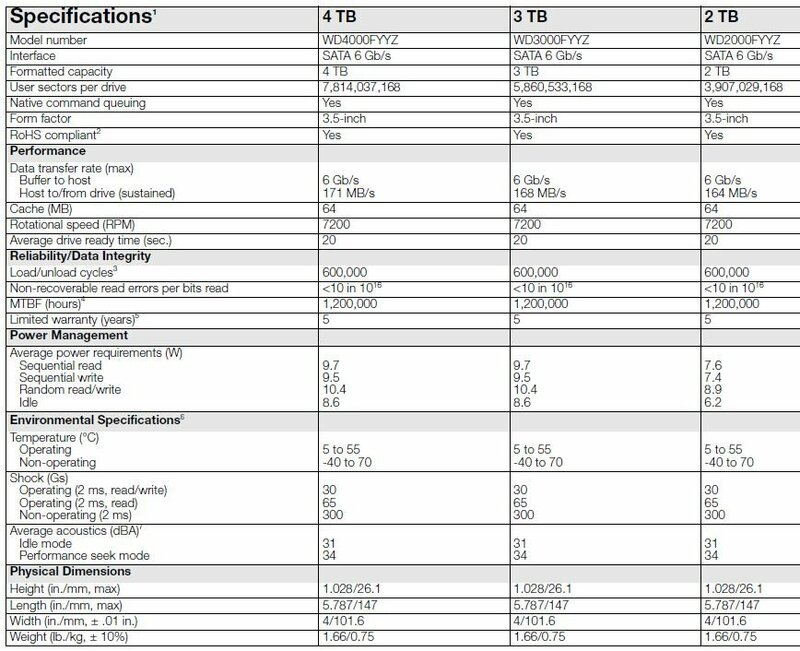 Highest Capacity: Perfect for maximum capacity enterprise storage solutions, such as scale out, cloud storage, RAID arrays, and NAS; a massive 2.4 PB of available storage (with 10 4U, 60 bay enclosures). Both the WD RE SAS and WD RE SATA hard drives are available through select retailers and are distributed by EA Global Supply Chain Solutions, Inc. and Iontech Technologies Inc. in the Philippines. 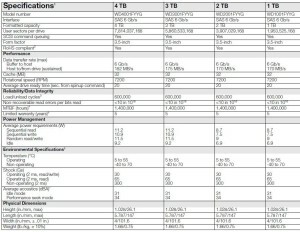 Locally, the WD RE SAS 4TB enterprise HDD (Model: WD4000FYYZ) has an MSRP of Php24,725.